Now that we’ve passed the milestone of Tuesday’s launch of Opera 15, it’s time to give you an overview of our vision for the product. When we released our first browser in 1996, most web users were people who weren’t afraid to tinker, and who liked lots of options and configurability. Fast-forward 17 years, and the Web is everywhere. Speedy browsing and sites working properly is the most important thing to many, many people. That leaves us with the riddle that every software developer faces at some point: how best to make a UI simple enough to be intuitive for a consumer who wants a solid, fast browser that just works, and yet is customizable and extensible so that power users can add the features they want? The answer is to build a strong, extensible foundation on which to innovate. Opera 15 is a fresh start, to which we will continue to add features. When we took the decision to switch to Chromium, compatibility was one reason — but most importantly, we wanted to spend our time on browser innovation, rather than competing on building a rendering engine. We had a deep look at Opera’s internal architecture and it soon became clear that Quick, the cross-platform UI framework we’d introduced back in 2003, was so entangled with Presto’s code that just swapping Presto with Chromium was far from a straightforward task. The same was true for M2: adding it to Opera 15 would require rebuilding it from scratch, more to download for users and more UI for those who don’t use the feature. For that reason, we spun it out into a separate download. At first, we also planned to build Speed Dial, Stash, Discover and so on with native code, but when seeing that the performance of our first functional web-based prototypes was excellent, we decided to go with a web-based (and hence cross-platform) UI for these parts instead. Indeed, you can open Web Inspector and see how they’re built. So, starting from this fresh base, we decided to carefully consider how to build up Opera again: over the years, Presto-based Opera had become overloaded with features, a number of them confusing rather than helping our users — you can’t imagine how many reports we’ve gotten from users telling us that their favorite site was broken, simply because they had turned on fit-to-width by accident, for instance. So, the approach when building the new product has been and still is to cater for various browsing use cases, but at all times, to keep the UI really simple, so that anyone can use it. Let’s have a close-up look at four of Opera 15’s features, and explain the thinking that went into them. We introduced the Speed Dial concept in 2007. When we extended it allow unlimited Speed Dial entries, we became aware that the conceptual difference between traditional bookmarks and Speed Dial was shrinking. Indeed, rather than browsing through a tree structure in a menu or panel, hunting for the right bookmark, users were relying on the address bar’s auto-complete, Speed Dial entries, or built-in search to get to their site of choice. That gave us the idea to move bookmarks right into the browser window where all the browsing happens. The addition of one level-deep folders with visual thumbnails and super-fast search allows you to find any favorite site in an instant. We found that modern browsers are hard to do research in. You open tab after tab (comparing different shopping items for instance), and after a while you can’t keep track of what’s where. Sessions and tab stacking attempted to help, but also confused a lot of users, adding extra UI complexity. So we came up with Stash, which is a vertical overview of items you’ve added with super-fast full-text search, so you can compare and filter. This limits the amount of tabs you need to have open, reducing the number of running processes. Thus far, we’ve seen people using Stash in different ways to improve their browsing workflow, so we’re excited to see where this will go! Now the Web is everywhere, it’s very common to be lounging on a sofa, or waiting at a bus stop, entertaining yourself with a notebook, tablet or phone. But with a world of content out there, where to start? Discover is a feature that brings pre-selected content, in a range of languages and subjects, straight to your brain. Not everyone is on a fast connection all the time. 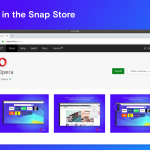 Opera 10 introduced Opera Turbo to render pages faster on slow connections, which was subsequently improved by compressing images into WebP format in Opera 11.10. Off-road mode in Opera 15 adds SPDY to the mix so that your pages render even faster. 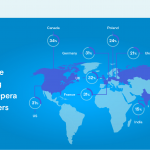 It’s no coincidence that Opera 15 was released on the same day as our rapid release cycle began. You’ll soon see what’s on the table for future versions. At the moment, we’re looking at themes, syncing between devices and improving tab handling. If you’re a power-user (and if you’re reading this, you almost certainly are) and you find that Opera 15 doesn’t have a feature you depend upon, first check the growing list of extensions. You may find our basic bookmarks manager extension fits the bill — or you may find the cottonTracks extension is an innovative way to solve a problem. If you miss Notes, try the Evernote extension. If you find Opera 15 is missing something that you absolutely depend on, that’s why we still have Opera 12 out, and why you are not auto-updated to 15. And of course, Opera 16 is just around the corner. Edit 10 July: we’ve announced that we’re prioritising building bookmarks functionality after hearing your feedback. We’re looking at your comments and feedback (as we have for 17 years!). Please send us bug reports if you find mistakes. Inside the company, we all have our own personal wish-lists (Bruce keeps harping on about ctrl+enter and Turkish Discover; Andreas harasses us about Extension APIs and bookmarks). Some of these will be rolled out to more than 50 million users. Some won’t — we’re not looking to make a faster horse. Nor are we cloning Opera 12, or any other browser. We will continue to innovate to build the best browser.